Geri Ann Glaso was a standout player at Georgia and then Oregon. Photo: GoDucks.com. We are a softball community that competes, celebrates and occasionally mourns together. 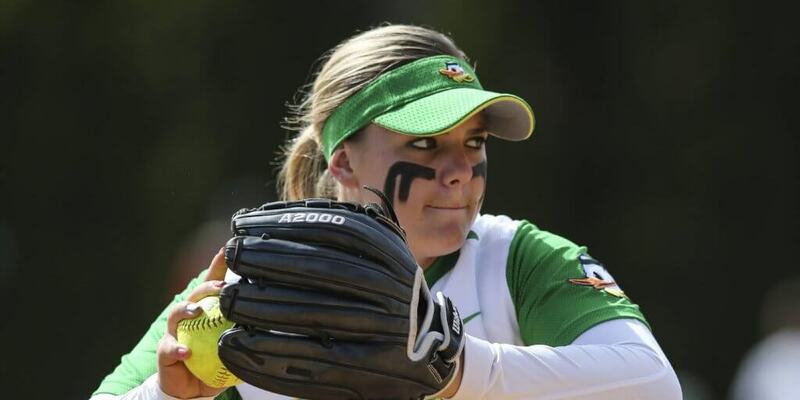 Our hearts are heavy this morning with the tragic news of the passing of softball standout Geri Ann Glasco, daughter of Louisiana-Lafayette Head Coach Gerry Glasco and his wife Vickie. Below is a report from ESPN1420.com with excerpts from its article today. First, a Facebook post from Coach Glasco he put up today. The Ragin' Cajuns family suffered a tragic loss this morning when Geri Ann Glasco, daughter of Cajuns' head softball coach Gerry Glasco and his wife Vickie, was killed in an automobile accident this morning. Geri Ann Glasco. Photo: ULL Softball. The accident occurred at Louisiana Avenue at I-10 and is still under investigation. Geri Ann Glasco, 24, was the youngest of Gerry and Vickie's three children. 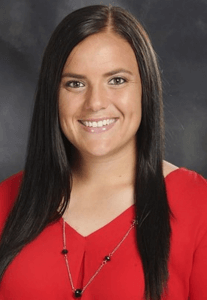 She had joined the staff a few months ago as the Cajuns' new volunteer assistant coach. The accident occurred shortly after 1:00 am. Troop I was notified of a crash involving multiple vehicles on I-10 eastbound east of Louisiana Ave. in Lafayette Parish. 45-year-old Kenneth McNeil of Houston, TX was also killed in the accident. The preliminary investigation revealed that 67-year-old William Rawlings of Killeen, TX was driving a 2010 Freightliner 18-wheeler eastbound on I-10 when he encountered slow moving traffic in an active construction zone. For unknown reasons, Rawlings was unable to slow down in a timely manner and struck the rear of a 2015 Dodge Ram pickup driven by McNeil. That initial crash began a chain reaction involving a total of five vehicles. McNeil’s vehicle was pushed into Glasco’s vehicle, a 2017 Ford Escape. Glasco’s Ford then struck the rear of a second 18-wheeler, which in turn struck another 18-wheeler. During her playing career, Geri Ann was the SEC Co-Freshman of the Year at Georgia and was a two-time, first team all-region performer at Oregon. Geri Ann began her coaching career in 2017 as a student assistant on Oregon’s staff. She also served on the staffs of Mt. Hood Community College and Sandy High School and was a lessons instructor at The Bat Company before departing Oregon for Louisiana.